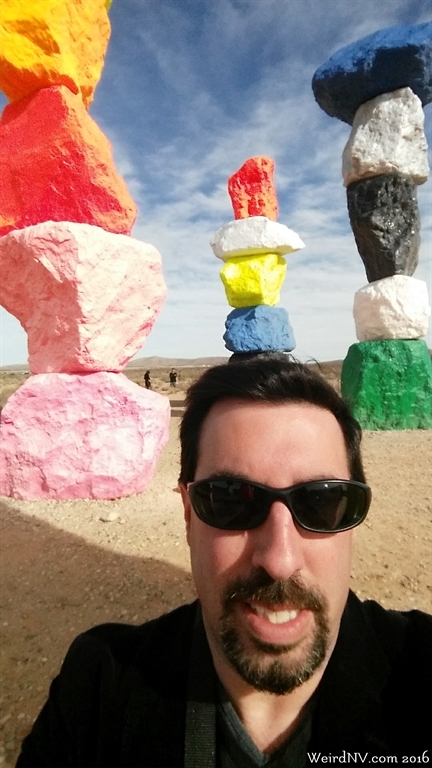 If you're rocketing down Interstate 15 on your way too or from Las Vegas, and look off to the East, you might just make out seven giant pillars of stacked colored rocks. These are the Seven Magic Mountains and they will be on display in the Nevada desert until at least early 2018. The artist responsible is Swiss artist Ugo Rondinone and the art piece officially opened on May 11, 2016. It is supposed to be available for two years. 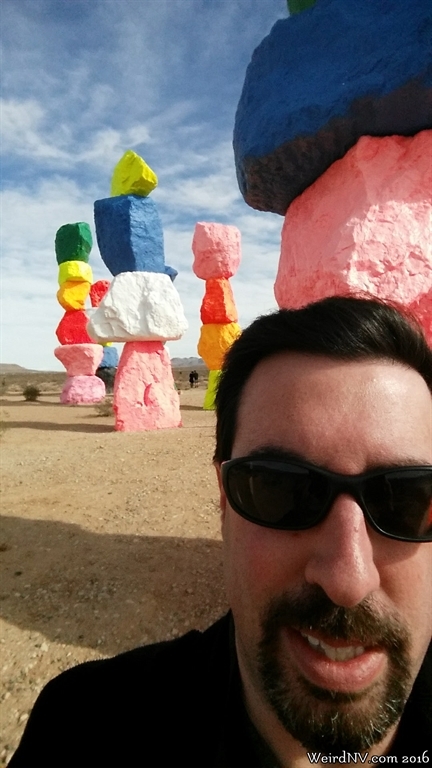 Each of the seven magic mountains is thirty to thirty-five feet tall. The rocks making up each mountain are "local" originating from right there in Nevada. Each mountain consists of somewhere from three to six rocks of various bright colors. Seven Magic Mountains can be found along Las Vegas Boulevard about ten miles south of Las Vegas east and parallel to Interstate 15. If coming from Las Vegas, exit at Sloan Road. If coming from California, exit at Jean, Nevada, where the Gold Strike Casino is located (also home to several movie cars like the Delorean and the Batmobile! ).